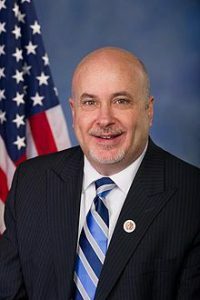 Congressman Mark Pocan was elected to represent Wisconsin’s Second Congressional District in 2013. Prior to winning his swing-state seat, Pocan served for 14 years in the Wisconsin State Assembly. One of the few openly gay members of Congress, he is committed to fighting for equal rights for all. As a small business owner and union member, Mark is focused on using his unique experience in both the private and public sector to champion policies that promote job growth and support economic equality. In Congress Mark serves on the Appropriations Committee, and, as a lifelong advocate for progressive causes, he serves as the Co-Chair of the LGBT Equality Caucus and the Co-Chair of the Congressional Progressive Caucus (CPC).